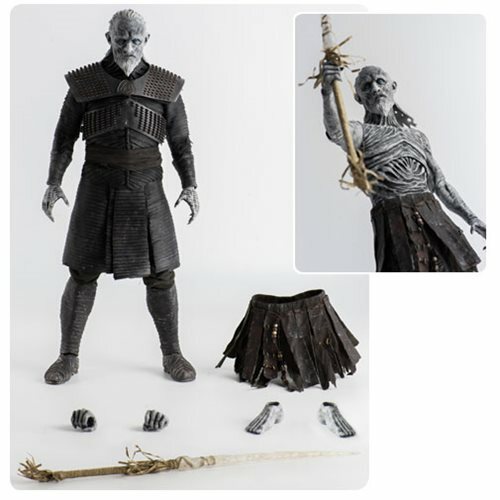 Produktinformationen "GAME OF THRONES WHITE WALKER 1/6 SCALE DELUXE ACTIONFIGUR"
From the Game of Thrones TV series, comes the feared White Walker as a 1:6 scale action figure! 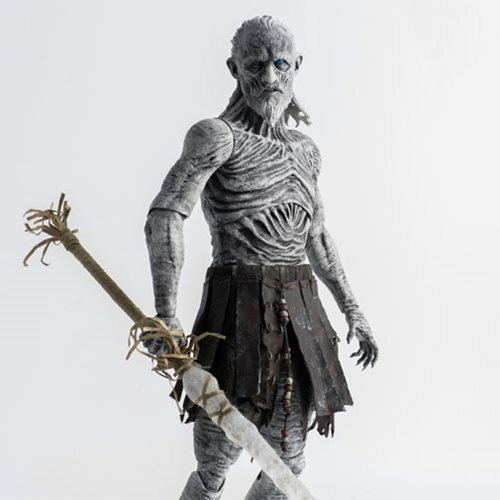 Fully articulated and standing about 13-inches tall in tailored clothing and fine detailed textures, the White Walker features removable armor, a shoulder mantle, breast plating, forearm bracers, boots, a full-body tunic, a fabric belt, pants, and a spear. 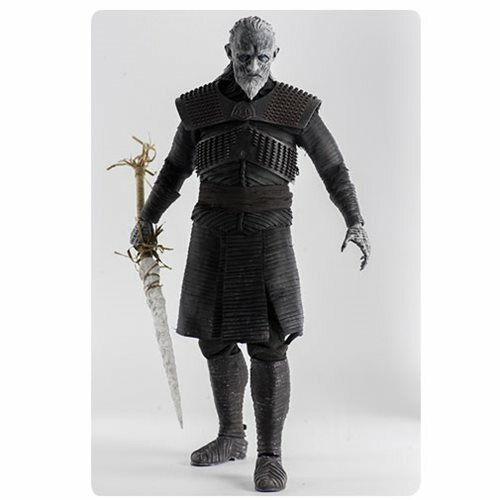 The Game of Thrones White Walker 1:6 Scale Deluxe Action Figure also comes with a pair of relaxed hands a pair of grip hands, a pair of bare feet, and an additional faux-leather skirt. Ages 15 and up. Weiterführende Links zu "GAME OF THRONES WHITE WALKER 1/6 SCALE DELUXE ACTIONFIGUR"
Kundenbewertungen für "GAME OF THRONES WHITE WALKER 1/6 SCALE DELUXE ACTIONFIGUR"